Talented cosplayer Kay Pike has been bringing comic book characters to life by painting them onto her body. And she’s not the only one. Here are 10 body art creations that are straight from cosplay heaven. 10. 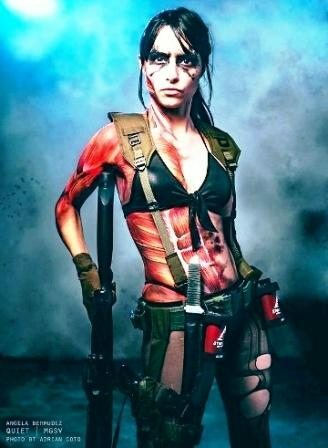 Metal Gear’s Quiet is all muscle.